A SINGAPORE Airlines (SIA) air steward, who says he was injured when a bag fell from the overhead compartment, is suing the airline for around $500,000. But SIA has countered that 42-year-old K. Jotheeswaran Kaniyasan is lying and that the incident never happened. Instead, air stewardess Hezrin Hilmi, who Mr Jotheeswaran said saw the 2009 incident, has filed an affidavit stating that she did not. SIA has also alleged that her signature on the cabin crew accident report which the steward submitted to the airline was forged. In his lawsuit, which opened yesterday and is scheduled to run for 12 days, Mr Jotheeswaran said that on July 8, 2009 he was helping passengers as they boarded a plane at an airport in Chennai, India. That was when a bag fell from an overhead compartment and landed on the back of his neck. Despite treatment for back pain, his condition did not improve. Five months later, he had spinal surgery. But even after this and physiotherapy, he said he still suffers from neck pain and numbness in his left arm. He said in his claim that he has developed a degenerative disease in his spine. Mr Jotheeswaran, represented by Mr Subbiah Pillai, is accusing SIA of being negligent and breaching its duty of care as an employer. But the airline, represented by Mr Niru Pillai, disputes that such an incident even occurred. The steward had included Ms Hezrin's name as a witness in the accident report, but two handwriting experts concluded that the signature on the form was not hers. After the report was submitted, Mr Jotheeswaran purportedly got a typewritten statement from her recounting what she saw. SIA contends that he prepared the document and pleaded with her to help him make a false claim. 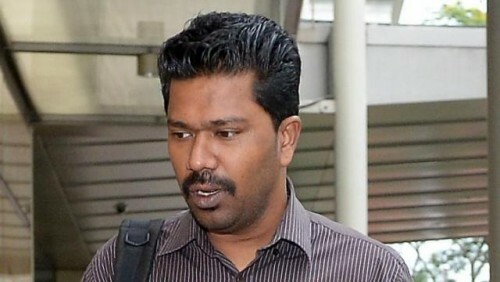 Cross-examining the steward yesterday, Mr Niru Pillai pointed out that when he sought treatment in July 2009 for pain in his neck, medical records stated that there was "no history of trauma". The lawyer contended that if the pain was indeed from a bag falling on his neck, he would have told the doctors about the incident. The airline said that even if the incident occurred, it did not breach its duty of care to the steward. SIA believes it has complied with international standards relating to safe stowage of cabin baggage and that the rate of crew injuries from falling cabin bags is extremely low. It is relying on past court decisions to argue that the practicality of precautionary measures against falling baggage has to be weighed against the risks of such incidents.